File photo of Jeff Adachi. The San Francisco Police Department citing an unequal number of blacks smoking within 15 feet of a building has prompted allegations by the city's public defender about a racial bias. Between January and December 2015, 10 people were taken to task for violating municipal law. 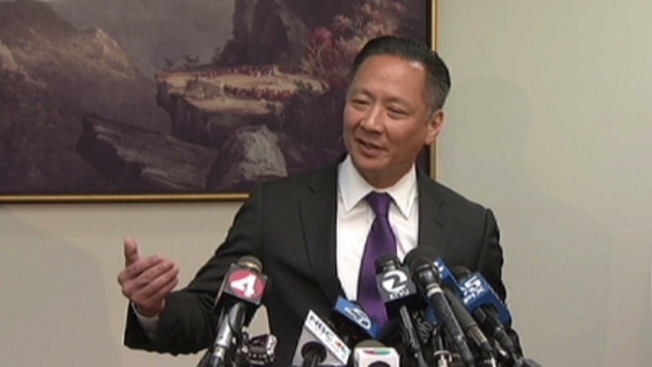 Of them, seven – or 70 percent – were black, which Jeff Adachi said in a statement Tuesday indicates prejudiced and "racially lopsided" enforcement. "Why are only black people overwhelmingly stopped and cited for this offense?" Adachi asked. "It appears that 'smoking while black' presents an excuse for officers to detain and search citizens based upon skin color." On Tuesday, Adachi filed a motion, which includes the data analysis, on behalf of a 44-year-old black man who, on June 2, 2015, was cited for lighting up too close to a building, and who the public defender believes was racially profiled. The motion asks prosecutors to reveal background information and documents pertaining to all 10 arrests made last year. Although arrested, most people were not prosecuted, however, Adachi stressed that the numbers are evidence of discrimination. It remains unclear how many arrestees were prosecuted. The statement also pointed out that a 2015 study by the State Department of Public Health showed similar smoking rates between low-income black and white Californians – 29 and 27 percent respectively. According to the San Francisco Health Code, people are permitted to smoke only on curbs as of 2010. If there isn't one, they must be at least 15 feet away from building entrances, exits, windows and more. Offenders are charged with an infraction and fined, but Adachi said officers often search or detain smokers under the pretext of the infraction. "Like New York's controversial 'stop-and-frisk' practice, San Francisco's 'smoke-and-frisk' raises serious concerns regarding racial profiling, unconstitutional stops, and privacy," Adachi said. When asked for the San Francisco Police Department's reaction to Adachi's motion and accusations, police spokesman Albie Esparza said only, "We met with the Public Defender earlier this year and immediately began an investigation, which is ongoing."